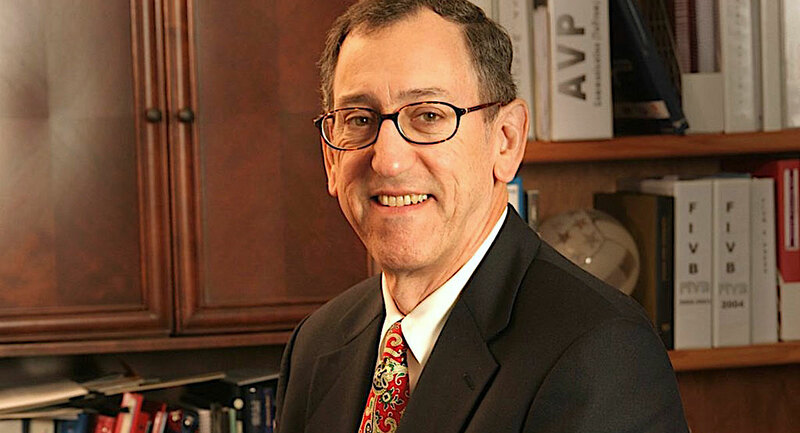 Doug Beal is one of the most respected men in volleyball world. “I think I was better as a coach than I was a player,” says Doug Beal about his volleyball life. I do not have any specific plans, but I certainly intend to stay active within the sport and, hopefully, active within the US volleyball (also national team) program. My other intentions are linked to international relations, why not performing some responsibilities for FIVB, NORCECA, or some independent consulting, but also enjoying life, more traveling, more time with the family. All things that people say they do when they retire. But I really do not have any specific new job waiting for me. I’m retiring, honestly. You were a volleyball player, a coach and a director. How do you evaluate yourself in these positions? Here is how I evaluate myself. I was a pretty good player, good enough to play for the US national men’s team, and as a coach, I think I was better at that, better as a coach than I was a player. Pretty good, pretty creative and I worked well with my staff and I made pretty good decisions about the staff whom I worked with. I think I understood the game at a pretty sophisticated level. I knew how to spend time on things that were productive, how to train players, how to prepare for matches. I was pretty good at that. But I think I am even better as an administrator – the role I have had as the CEO of US volleyball. So, I hope that as I went through my life and professional career I have learned and experienced a lot, but what I missed the most was being able to play. If I could snap my fingers and go back in time, I would cherish to take another year or even a single day of playing at my best level. I would love to do it again. 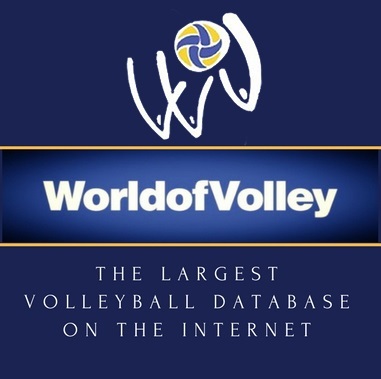 How would you compare modern volleyball to what it used to be years ago? The game is completely different today. It is almost impossible to compare. Scoring is different, the rules are different, players’ physique is different and almost everything about the game is different. We can say we have lost some variety in the way teams played. I think the opportunity to create a unique style is probably not there due to a lot of different factors, rules and the growth of the professional volleyball around the world. I’m not sure that I like the game today more. A couple of skills dominate the game, certainly serving plays the much bigger part than it ever did during my time. I am not sure whether it is great if one skill dominates the game so much. Athletes nowadays can do things that were not possible or even heard of twenty-five, thirty years ago. And this is pretty special for the sport right now. We just have to really figure out how to take the game to meet FIVB’s model, to keep the ball flying. We don’t keep the ball flying (keep it in play) as much as we should. I think it is the biggest challenge for the future of the sport. Sometimes coaches do not like to go to post-match press conferences. What is your view in this regard? I do certainly understand why coaches become very emotional and affected by the game’s outcome, they have spent their whole life and energy achieving results. So asking coaches to immediately go to the press conference after the end of a dramatic event and deal with the media is quite challenging, quite difficult. And you frequently don’t get the most thoughtful answers as a result of that. But it’s a huge responsibility in today’s world because we are all trying to sell sports and to create new fans, so it’s a coach’s job to figure out how to control himself and to calm down quickly once the game is over. Then he should be able to analyze the match and to communicate with the media immediately because it is all part of carving out a piece of the sporting commercial world. So coaches who do not it, unfortunately, do not help to grow the game. Please, share your opinion about the Rio Olympic Games? I think the Rio Olympic Games was remarkable. It was held in a country where volleyball could easily be the number one sport, where the passion and the expectation of the home crowd are at all-time high, where the home country is extraordinarily good in every discipline in both genders. Volleyball will certainly be Brazil’s showcase. I think it’s unfortunate that Brazil is going through some really difficult times financially, socially and politically and it might impact the experience some of the athletes and the spectators had. It was spectacular, however, and volleyball was among the disciplines which could easily springboard sport in general into a much higher level of worldwide visibility and acceptance. What is your view regarding the progress of women’s volleyball in Iran? Honestly, I don’t know that much about the development of volleyball in Iran. I know there are cultural and religious issues that are unique to the Islamic world and the population in Iran, but the good news is the popularity of the sport on the men’s side. The country achieved success in a number of sports, not just volleyball, on international level, so to anticipate that Iran could build a strong women’s program is not a hard thing to do. With the right leaders at hand, who would probably need financial support, there is no reason why Iran should not be a major power in Asia and in the world in both volleyball and beach volleyball. Any thoughts concerning Iranian volleyball and its acceptance as a new power in the world? I think I answered this pretty well in the previous question. Iran is a wonderful new figure on the global volleyball map. I think it is always exciting and very positive for the growth of the game when a country reaches the top level of competition at World Championships, World Cup, Olympic Games, and the Iranian men are there for sure. Their success in Asia is really exceptional. I think with help from traditionally strong opponents, such as Japan, China, Korea, and as of recently Australia, Iran could seriously contribute to Asia becoming one of the stronger continental zones. Success and popularity are only parts of the mechanism, though, for strong professional leagues and youth programs are necessary for the overall image. What about FIVB’s policies for working with “new” volleyball countries like Iran? I think FIVB are starting to look at this as a platform to target specific countries where the game can be really accelerated in its growth. I think there are some candidates in Europe, Asia, certainly in North America and Africa, so I’m very optimistic that FIVB will continue their path and look for those locations to host major events and support national federations. There is always a balance between supporting countries in need or enhancing countries that have developed well and I’m a big fan of the former. Iran is one of those now. What have been your most pleasant moments in volleyball? I had a lot of those moments. Certainly the Olympic Games and winning the gold in Los Angeles is the highlight. A lot of moments leading up to that success in 1984 come up in my mind. To be with that team, the extraordinary amount of hours, days, months and years to develop the relationships and the abilities of the team – it is a special time in my life. Also, the couple of years which my wife and I spent in Italy, coming back to coaching again, mentoring team USA at the Olympics in Sydney and Athens, being able to contribute to the success of US volleyball during the past twelve years as a CEO… There are so many individual memories and people that have been impactful for me in those various times in my life that it is almost impossible to mention all. I have many. I would’ve loved to be a better coach, a better player and a better CEO. But I’m extraordinarily happy with the life I have led, it has been nothing short of a dream for me. I became attracted to volleyball as a ten-year-old in elementary school and most of the people that I have interacted with in almost every aspect have been wonderful partners, colleagues, mentors, and supporters. But I always wanted to be better, always wanted to achieve more. However, I’m really proud of the role I have played in volleyball’s growth, together with the success and the failures. You were standing as a candidate for the presidency of FIVB. Are you going to apply once more for it in the future? No, I don’t intend to be a candidate for FIVB’s president. There was an opportunity in 2012 and while there are a lot of areas I would like to see improved within the FIVB, I think that if the current president Ary Graca from Brazil, re-elected without opposition, chooses to engage with me in some areas, I will be delighted and will support his initiatives. If he does not, that would be his choice. He is the president and he will do whatever he wants. I like a lot of the things he’s doing. I think there are also quite a lot of areas to which we obviously have a different approach, but in general I think FIVB is headed in a more professional direction. They will have to be very aware of finances over the next couple of years and will have to adopt a new way of operating within the international sports community. I am ready to do anything I can to support the growth of the sport at any level. Who had the greatest impact as a mentor or colleague in your life and career? I don’t think there is a single person with greater influence, but many have helped me and have become great friends and mentors during my youth. James Coleman was definitely significant for me, working with Bill Neville was important, the opportunity to engage with Yuri Chesnokov and Vyacheslav Platonov too, to know Yasutaka Matsudaira from Japan, as well as many coaches and players who really love the game and were instrumental in their own countries but could see the sport on a more global scale have had great influence on me. I have been incredibly fortunate to have the opportunity to get to know, learn from and collaborate with some of the really historically significant figures in our sport. Mrs. Dr. Ellie Abdi, Doctoral Researcher at Montclair State University, for editing this interview.